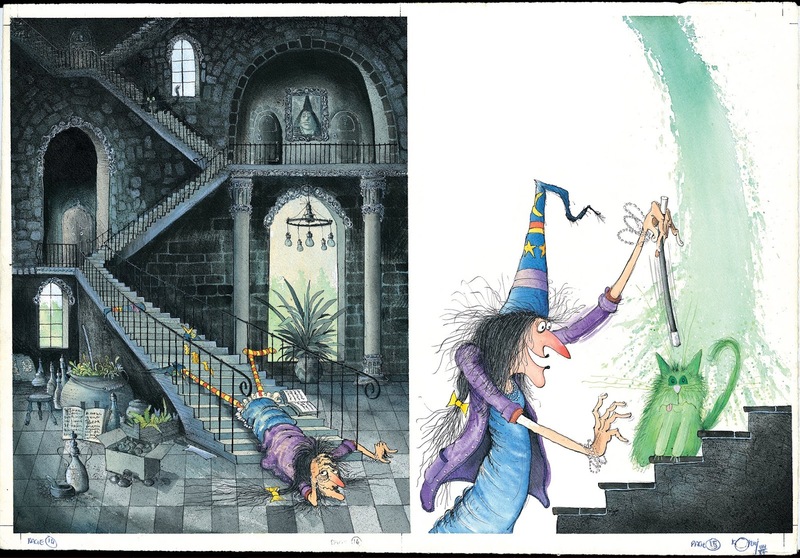 Witches' cats have an entire display in the new exhibition Cats on the Page, which opened at the British Library yesterday. I was at the British Library on Friday doing research for my English Literature MA, but took a break to go around the exhibition - more fun than the 18th century poetry I was supposed to be studying. 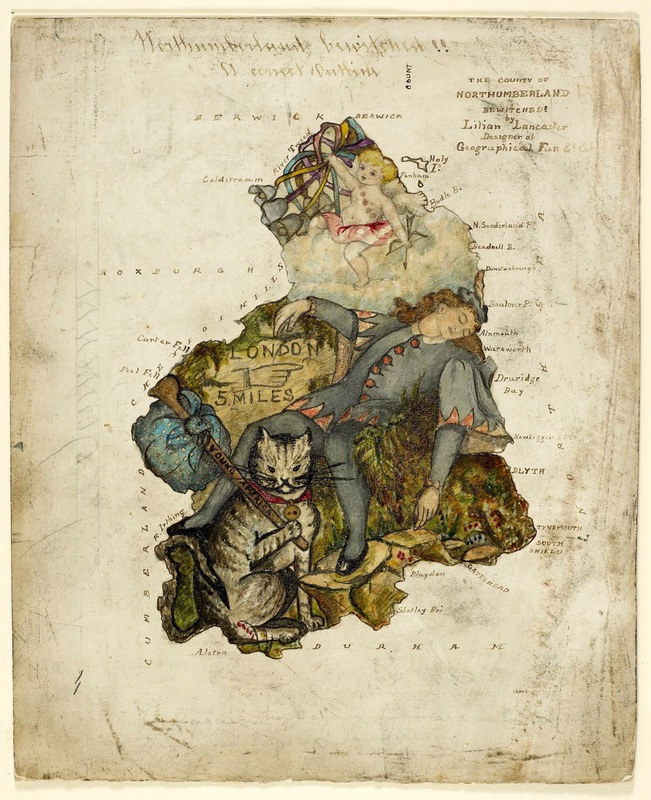 The exhibition celebrating our furry friends in literature is free and you can find it in the entrance hall of the British Library until 17 March 2019. The display on witches' cats in literature includes a 16th century pamphlet on witchcraft describing the activities of Elizabeth Stile and three other "notorious witches", with a woodcut image accompanying the description of the black cat or familiar belonging to Mother Devell (who is alleged to have fed it with milk mixed with her own blood). The picture at the top of this post is another witch and her cat - from the children's books Winnie and Wilbur. Other depictions of felines in Cats on the Page include Mog by Judith Kerr, Beatrix Potter’s Kitty-in-Boots as imagined by Quentin Blake, Gobbolino the Witch’s Cat by Ursula Moray Williams, Fred by Posy Simmonds and two illustrations for T. S. Eliot’s Old Possum’s Book of Practical Cats by Axel Scheffler. You can also see Lewis Carroll’s own copy of the rare third edition of Through the Looking-Glass and What Alice Found There (1893), in which the author notes his frustration with the printing including a comment on an illustration of Alice’s kitten. A selection of sound recordings for all ages include a reading of Macavity the Mystery Cat by T.S. Eliot, songs from the musical Cats and Disney’s The Aristocats and music by The Cure. 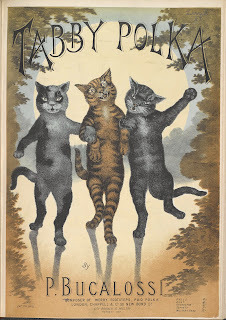 Cats on the Page celebrates the myriad ways in which cats have captured the cultural imagination for hundreds of years. It offers poetry, artwork, fables and fairytales from around the world. There is also a series of events running alongside the exhibition including, on 11 December, the Crick Crack Club delve into the world of Felix Catus and other feral felines with storytelling for grown-ups. 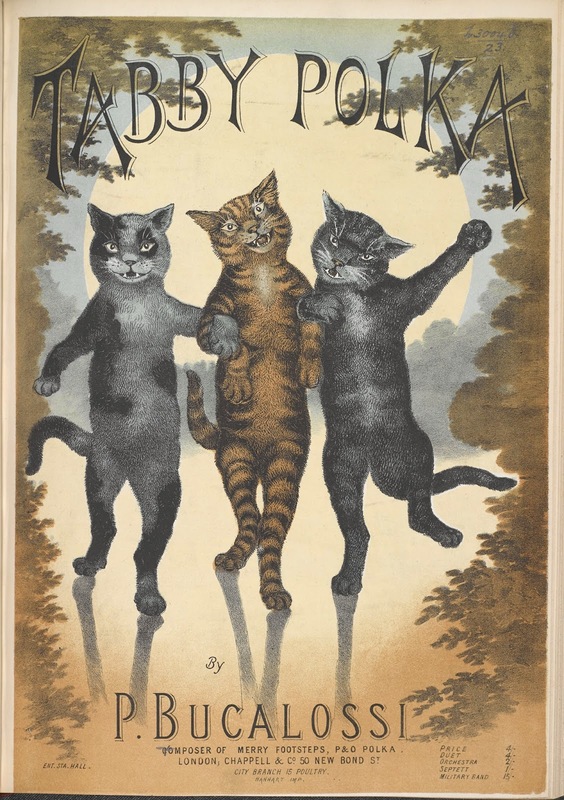 Alison Bailey, lead curator of Cats on the Page, said: "Cats have inspired our imagination and creativity for many years - long before their days of dominance on the internet. At an early age we meet them in rhymes and picture books whilst as adults we are introduced to more stories to savour and reflect upon. "By bringing cats we know and love together with new ones from unexpected sources, Cats on the Page showcases the light-hearted side of the British Library’s world-class collections through a selection of just some of the hundreds of paws prowling the pages of its books and manuscripts."